Killing Me Softly - I have been listening to Soul music since long time ago, it is really hard to trace back as to which artists/albums got me started. Perhaps Roberta Flack who is one of my favorite Soul artists who has truly stood the test of time in my journey of serious music enjoyment. That said, I have been keeping only one of her albums thus far i.e. Killing Me Softly. You still can locate this album in your music collection? 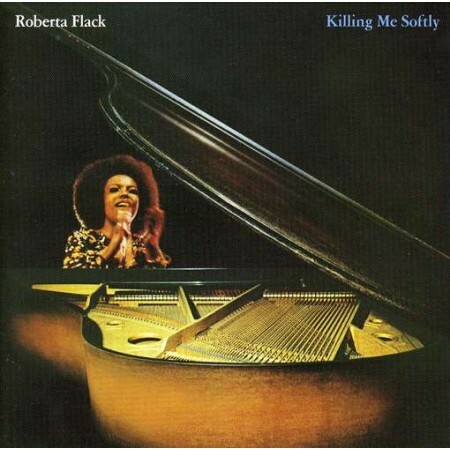 Roberta Flack has deep, thick, passionate and simmering vocal. There appears much content in her vocal, or at least there is content inexplicably appealing to my "Hearty Ears" but I am not sure if this may be similar to the "emotions" usually perceived in soprano vocals. She played piano and did all the arrangements for the entire album, great artist, she is indeed! Killing Me Softly is an excellent album as most songs in there do please me very much. The very first track is Killing Me Softly with His Song which was the very hit song in early 70s, old enough for most to have forgotten. This track has earned a Grammy Award back then, that is why I reckon no further mention is required but please, remember to catch the beautiful kick drum showing up ~1 foot above floor distant behind the right speaker, it is so lovely feel when the drum skin moves the air! While Killing Me Softly with His Song likely remains as a hit song for most, I love Track8 very very much i.e. Suzanne. This is a story-song written by Leonard Cohen and interpreted by many artists. Somehow Roberta Flack's rendition sounds the best to me in the light of the mesmerizing arrangements and certainly of some unexplained magical element in there. Random jazzy piano notes at the most appropriate times hit musically with the flawlessly exciting percussion. The simple yet well arranged music sounds most anticipating for any listener to chase for the very next note. As one is trying to treasure more from the exciting music, at times, there are elegant strings to renew his curiosity. Towards the last part of the rendition, there is extensive non-word vocal expression of Roberta Flack which heightens the intense feeling of the song so much so that nobody wants the song to end and true enough, 9- 10 minutes passes by intensely musically without realizing it! That is why I have been repeatedly treasuring Track8 and that is why I keep talking about Track 8. Besides the very hit track and the much mentioned Track8, I like Track2- Jesse, Track3- No Tears (In the End), Track4- I'm the Girl, Track5- River and Track6- Conversation Love . I have already named 7 favorite tracks, what more to expect from an 8-track album? The album primarily has been arranged with fair prominence at the lower register as such some good sense of tempo underlies the music provided the listening room accommodates bass well. Unfortunately with all the good things said, serious hifi-abilities are just absent, certain tracks sound little compressed. There exists only Track8 to satisfy audiophiles! Certain tracks even come with some extent of distortion around upper vocal region, some tracks may be imperfect in terms of recording, remastering or/and pressing. Nonetheless we are lucky that the intense musicality may encourage any music lover to forgo the non-musical compromises because heart hears the art!!! Get killed softly with her songs!